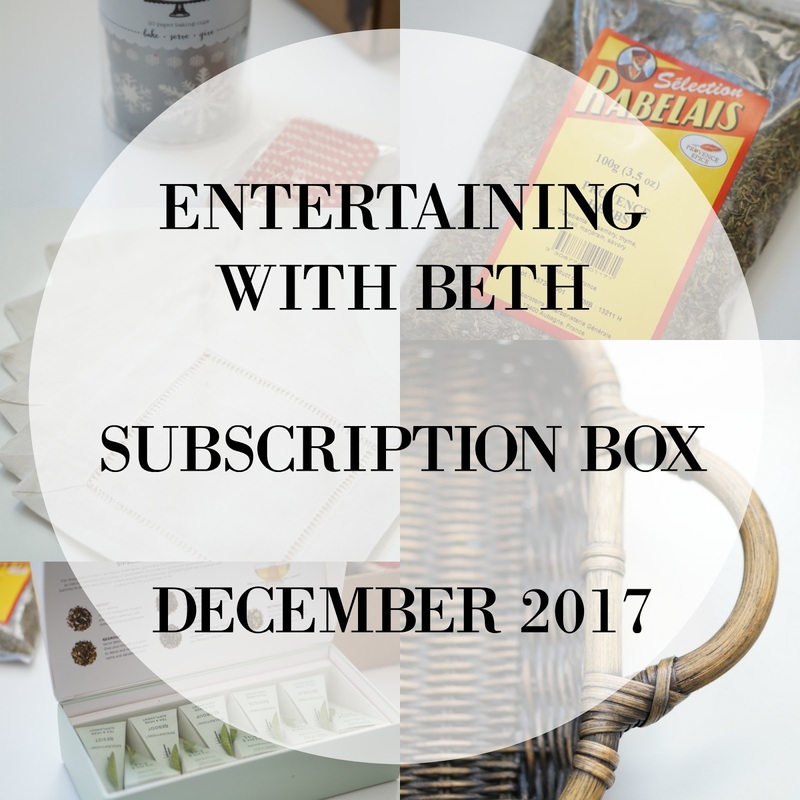 Back in November, I shared my first Entertaining With Beth subscription box. That particular box was the very first box Beth released. I thought, and still think, it’s an amazing box. It has incredibly value for money spent and all the items are things I’ll use in my home. 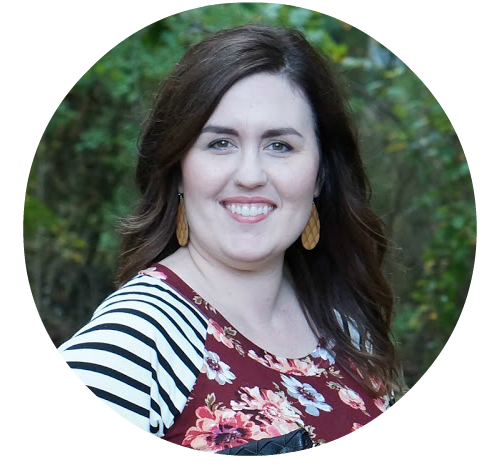 In case you’ve never heard of the Entertaining With Beth subscription box, I’ll leave a link here to Beth’s blog post explaining it. I have been subscribed to Beth’s YouTube channel for years, and I was so excited when she announced her subscription box. Basically, it’s an every-other-month subscription box that costs $35. In the box, you will receive 4-5 items that Beth loves. Since her YouTube channel is all about cooking, with a side of entertaining advice, the items in the box are related to cooking and entertaining in your home. Here’s what was in the December box! I have been looking high and low for affordable hem stitch linens (key word: affordable) ever since I started working on our dining room. It’s really hard to find linens that fit our table (it can seat 10) that I also like and can afford. When Beth mentioned Bumblebee Linens in one of her recent videos, I discovered that they actually have a table runner that will fit our large farmhouse table. I haven’t ordered anything just yet, but I will be using the code that was included with these cocktail napkins when I do. Aren’t these adorable? I have to mention that Beth includes a couple recipes in each box, and one of the recipes is for peppermint cupcakes. I was so shocked to find out that you can actually bake in these beautiful cups. They seem too pretty to go in the oven. Lo and behold, you can bake in them. This company makes a huge variety of cups and cute spoons to go along with them. I can’t wait to use these. This is one of Beth’s favorite decorating tips, and she included this in the box to use with the peppermint cupcake recipe. I am very happy to add this to my decorating tip collection. I have a confession. I had no idea what was in herbs de provence until I read the label of this package. Any time I’ve made a recipe that called for herbs de provence, I just left it out. Well, safe to say, I will have enough herbs de provence for many, many recipes with this package. I love tea so much, my husband and I each have a cup of tea (decaf, of course) before bed. This sample from Tea Forté includes ten tea bags. Each tea is geared towards supporting different health concerns. From immunity to rest to everything in between, these couldn’t have come at a better time. If you love herbal teas, I recommend getting this sampler so you can try them. This is another timely item that is perfect for the holiday season. This basket is custom made to fit a 9×13 pan which is, let’s be honest, something that everyone uses. I love the style of this basket cozy, and it’s very sturdy. It feels well made, and I know this is something that I will use long past the holidays. Thanks for checking out my December EWB box. Do you love to entertain in your home?